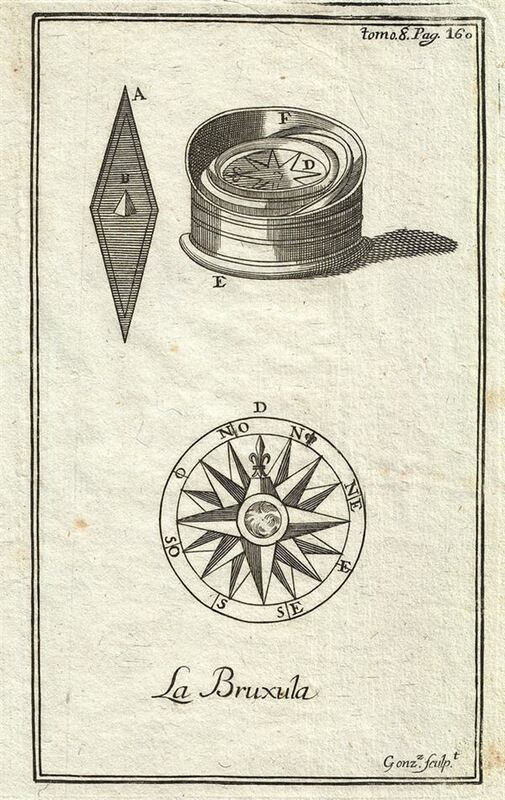 This is a fine example of the 1754 illustration of the compass rose by Gabriel Ramirez. The chart includes two illustrations, the top illustration being that of a compass. The bottom illustration is that of the compass rose or the windrose consisting of 32 points. Originally prepared in French by Abbot M. Pluche and translated into Castilian Spanish for publication in Volume VII, Part 4 of D. Gabriel Ramirez's Espectaculo de la Naturaleza, O Conversaciones a Cerca de Las Particularidades de la Historia Natural.